You’re invited to pull up a chair at WineTable and join other professionals and wine enthusiasts. 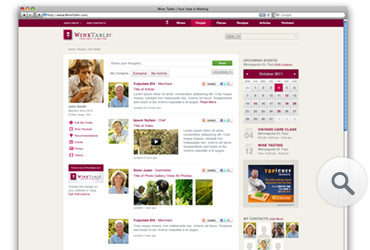 More than a social network or review site, WineTable is dedicated to all things wine related. But to enjoy the site’s depth of features and benefits, you have to sign up―we’re holding a seat for you. 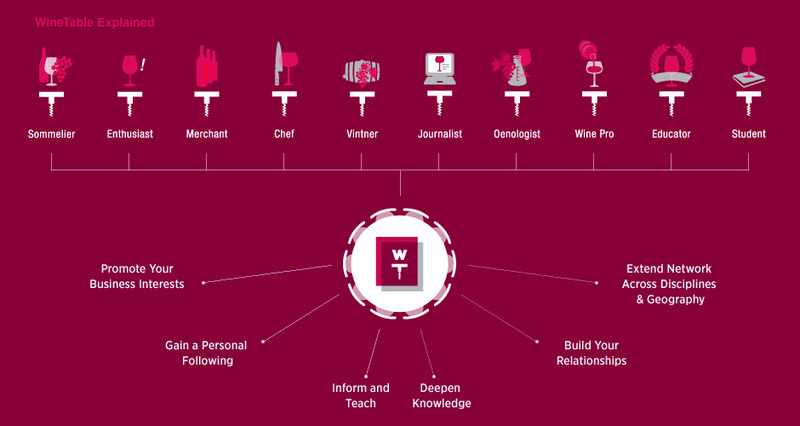 It's a place where you can share your knowledge and insights about all aspects of wine. It's the place to promote yourself, your business or your winery. It's the place for trusted opinions, honest feedback and valuable information. Anyone who is passionate about wine. Whether you're a vintner, sommelier, merchant or committed enthusiast, you'll find content and interactions that are based on true expertise. It's the easy way to manage all aspects of your life in wine. Use your profile to increase your visibility; the wine database to discover new bottles and the dashboard to keep on top of events, connections and reviews. More than a resume, your profile articulates your wine persona. It's the place where people can discover you and your business. In the bio section you can describe your tastes, detail your travels and talk about your experiences. You can add photos, videos and there will be links to your WineTable reviews, recommendations and events. helping to single out exceptional values and outstanding vintages, while improving and enriching the database. The one place to keep track of everything. Whether you're checking out what your contacts are up to or seeing what's new on the site, your dashboard keeps you connected and organized. See new reviews, photos and videos from your contacts. 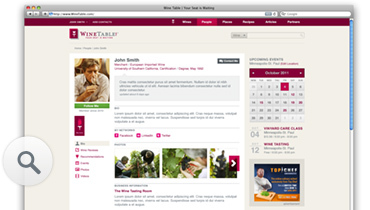 Get a wider view of WineTable using the everyone tab and see what's generating discussion. Keep track on your events, reviews and other site activities. Update your status and keep the conversation flowing.